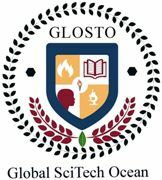 Global SciTech Ocean (GLOSTO) is an Indian based Publishing Company, has a head office at Dehradun (Uttarakhand) which deals with the online as well as printed publication of Books, Journals, Magazines, Theses, Newsletters and dissertations in all areas including Science, Medical and Technology. "GOOD BOOKS HELP IN CONSTRUCTING A CIVILISED SOCIETY"
GLOSTO Publishing is committed to providing world class service without compromising originality of the contents. We emphasise to strictly follow the copyright policies; therefore, all publications undergo a rigorous review process followed by a plagiarism detection test with the help of computer software. GLOSTO has a team of scientific writers and editors to check the contents in each and every aspect which resulting inthe best publication in this competitive era. GLOSTO Publishing is dedicated to an easy online submission of the publication matter, best editorial services, a rapid peer review process, fast publication, easy online access for the readers and high-class marketing through all academic social media. Design & Developed By DOONITRIX Pvt. Ltd.